We ask two American writers Gideon Lewis-Kraus and Matthew Firestone what it was really like to walk the 88-temple-long henro pilgrimage route in Shikoku — and learn that foot comfort is the secret to success. Tucked between the very end of Honshu and the top of Kyushu, Shikoku is the least traveled and least familiar major island of the Japanese archipelago. There are few famous sites or tourist attractions, and most guidebooks recommend the location as a way to “experience rural Japan.” Shikoku does, however, attract a constant stream of visitors every year to walk, bus, bike, or drive through its famed 88-temple Buddhist pilgrimage route. While most pilgrams in modern times are retirees moving through the course easily with the aid of tour buses, we wanted to get a sense of what it was like to do the course by foot as a young explorer with modern travel expectations. So we caught up with two American writers who have turned their Shikoku foot journeys into books: literary memoirist Gideon Lewis-Kraus and former travel writer Matthew Firestone. 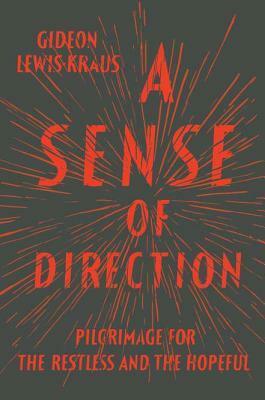 Buy on Amazon Gideon is the author of the 2012 memoir A Sense of Direction: Pilgrimage for the Restless and the Hopeful in which he recounts his personal experiences through three pilgrimages: El Camino del Santiago with fellow writer Tom Bissell, the Shikoku henro by himself, and the Rosh Hashana pilgrimage to Uman in Ukraine along with his father and brother. 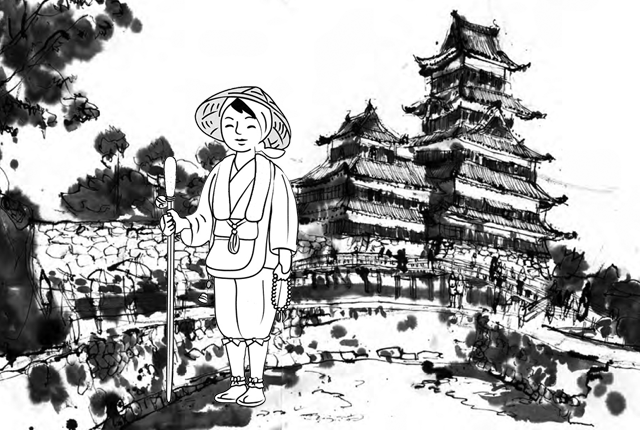 Gideon walked the Shikoku henro on foot, without knowing much Japanese and seemingly surviving on a diet of combini onigiri. Why did you decide to do the Shikoku Henro by foot? I’d walked the Camino de Santiago by foot and never really considered doing the henro any other way. There was some brief talk about doing it the way most Japanese people do it — by bus, or apparently for some wealthy people by helicopter — but by the time I got to the point of leaving for Japan I knew that the book was going to be more personal than anthropological so there wasn’t really a question. Did you wear the traditional garb? 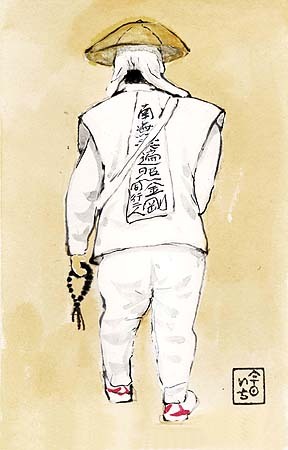 I wore the white pilgrim vest with the Heart Sutra inked on the back, yeah, because you really do need some indicator or you won’t get osettai (gifts locals give to the pilgrims). And after a few days you realize that trip is spectacularly taxing and the moments of real grace are mostly osettai-related. I also had the traditional walking stick but halfway through I bought Nordic Walking Poles. I kept the traditional stick lashed to my bag, though. I didn’t wear any of the brightly colored sashes because they would’ve gotten dirty, and the traditional sedge hats don’t fit Western heads very well. What is the average day-to-day on the pilgrimage look/feel like? It varies quite a bit. There are days where you’re just walking through the run-down, rather dreary suburbs of cities like Tokushima or Takamatsu, and then there are days when you’re alone along the coast for long stretches. The flat parts are almost all along roads, and the traffic is jarring. The bits in the mountains are much more serene but, well, you’re going up and down mountains. It rains all the time, at least when I was there, in March and April. How would you compare Shikoku to the rest of Japan? Well, it’s hard for me to answer this question because Shikoku was the first place I ever visited in Japan. Now I’ve been all over the country and have a broader view, but my initial impressions were all formed in a vacuum. I suppose the answer is that it’s both. There’s some really stunning scenery, particularly in the southwest, between temples thirty-six and thirty-eight, but there’s also some pretty nontrivial squalor. What was your ultimate fantasy of what you would get out of it? The most honest answer to that question is that you probably have to read my book, but the easier answer is probably that I’d done this Western pilgrimage that was a line culminating in some supposedly climactic goal and had heard about the henro en route; the Japanese pilgrims who told me about it said that the circuit of the eighty-right temples was different because it was a circle, not a line. So I guess I had some vague ideas that maybe arriving where I’d started would provide an interesting sense of finality that I — and most other pilgrims — found wanting in anticlimactic Santiago de Compostela. What is the harsh reality of doing the henro by foot? Really, and this answer is always so banal, that it’s on asphalt. At the end of the henro, at this pilgrim welcome center between temples eighty-seven and eighty-eight, this guy asked me what the difference was between the Camino and the eighty-eight temples. There were a million things I might’ve said — that the Camino was social, and fun, for one — but I said that it was that the Camino was on these nice dirt paths. Your feet get used to the soft dirt in a way that they just never acclimate to the asphalt. I didn’t lose a single toenail on the Camino, and I lost three on Shikoku. How much did you cheat? Was it worth it? I cheated three times, but two of them were in places where you had to retrace your steps, which I thought was out of the spirit of the circle anyway. The first was the three kilometers downhill from temple twenty-seven; I’d twisted my ankle on the way up and needed to rest it. The second was about twelve kilometers between temples thirty-eight and thirty-nine, because it was pouring and I didn’t feel like walking back up the same road I’d walked down to Cape Ashizuri. And by then I was walking with an American guy who badly needed a break. The third time was when I took a train between temples sixty-four and sixty-five for about fifteen kilometers; that one vexed me considerably, and is treated at great length in the book. By then I had to get back to Osaka by a certain date for a party. What was your greatest moment on the route? That’s hard to say, because as much as I like to complain about the henro, there was a lot of it that I loved. The long stretch in the sun along the peninsula between temples thirty-six and thirty-seven, Yokonami Prefectural Natural Park, was just stunning and took place on the first day that my feet weren’t hurting in an urgent way. The walk through the inland woods between temples forty-four and forty-five was beautiful and I was with two young Japanese women I was very fond of. The summit of the mountain just above temple eighty-eight, obviously. And the whole last stretch, walking backward in the sun from temple ten to temple one, brought with it a whole welter of feelings about the six weeks I’d been on the circuit. What was the nicest osettai a passerby gave to you? This one lady gave me a little jelly pocket of this energy glop, and I was a little apprehensive about eating it, so I left it in my bag for a few days and remembered I had it at a perfect time. One of the Japanese women I describe above introduced herself to me with the osettai of an expired onigiri, and that ended up as a kind of inflection point on my trip. Another woman fished me out of the rain and gave me homemade miso soup and onigiri at a moment that, in retrospect, was probably critical morale-wise. Do you think that you would have gotten more out of it had you been a Japanese speaker? Oh, for sure. No question. The Camino is a ritual that you can just sort of parachute into and get a lot out of it. The eighty-eight temples are much harder to approach without some native resonance and familiarity. Compared to your other pilgrimages, what was the sensation upon finishing it? This is something I go into in great detail in the book so I’m not sure how to approach a short answer here, but I think a lot of my experience on Shikoku ended up being about pilgrimage as an evasion rather than as a quest. There’s something wonderfully and helpfully futile about the fact that ultimately you’ve just been running in a circle. There’s something quietly self-admonishing about the whole project, as opposed to the self-congratulation the Camino lends itself to. Who would you recommend the henro to? Japanese speakers. Japanese young people. People who fell so in love with the Camino that they need a bit of a corrective. Your ultimate advice to someone planning to do it. Don’t wear hiking boots; wear comfortable walking shoes. Nordic Walking Poles, for sure. Don’t go in March when it’s still really cold. Even though henro season starts March 1, I’d wait until April, or maybe do it in the fall. Get both the English-language guidebook and the Japanese one, as the latter has much better maps and is really useful even for non-Japanese speakers. 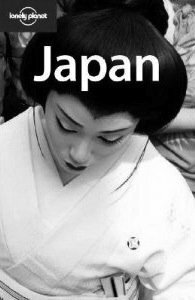 Try to get lists of the zenkonyado and tsuyado in advance and have them translated if you don’t speak Japanese. Make reservations in advance if you’re staying in ryokan or minshuku, and ask at each place you stay where they recommend you stay the next night; the locals know the circuit really well and have a good sense for how far the next day should take you, and where a nice place to stay would be. You can have them call ahead to book you a room if you don’t speak Japanese. Plan for at the very least a day off in Kochi and a day off in Matsuyama. Get the katsuo bonito in Kochi and the grilled mochi at temple fifty-one, Ishiteji, in Matsuyama. Bring a poncho. Take the coastal road to Cape Ashizuri, not the highland route. Plan shorter days at the beginning and know that you’ll speed up later. And resist the temptation to feel like it’s all over after temple sixty-six, Unpenji, just because it’s the highest one; you’ve still got a ways to go. And, lastly, do not stay at any of the ryokan near temple seventy-five, Zentzuji. Those people are all crooks. Matthew Firestone is a former travel writer who co-authored 38 books for Lonely Planet and traveled to 85 countries. He currently lives in Tokyo, Japan. Why did you decide to do the henro by foot? In 2006 I was working as an author for Lonely Planet. I had just finished a lengthy stint in Botswana and Namibia when the henro gig landed in my inbox. It was a quick decision. I studied Japanese in university, and probably read a bit too much Basho for my own good. Plus I had both the time and the money to commit to a lengthy trek. A rare combination. No, but I’m rather particular about my travel gear. I was also hauling a pre-Macbook Air era notebook computer and an assortment of bulky and overpriced SLR equipment, so a proper rucksack and all-weather gear were non-negotiable. What is the average day-to-day look/feel like? There are infinite variables that will shape your individual experience, but the walking is constant. By Japanese standards, Shikoku is a rural backwater suffering from systemic depopulation. The majority of towns and cities on the island are not very appealing to foreigners, even more so if you don’t speak Japanese. And Shikoku is arguably not as scenic as Hokkaido, hence the comparative lack of rural tourist infrastructure. My motivations were practical: submitting my manuscript on-time and under budget. But there were a few moments, largely induced by dehydration, where I envisioned myself to be an itinerant poet. Fortunately they didn’t last long. Blisters. Without going into the gory details, the henro brutalized my feet. Moleskin and neosporin helped to a certain extent, but I severely underestimated the crushing humidity and constant downpours of the Japanese summer. I opted for sturdy combat boots, but breathable, high-top sneakers would have made all the difference. There are also centipedes. And they bite. A little bit. And no, it wasn’t. I have a soft spot for Dōgo Onsen, which inspired the visual design of the enchanted bathhouse in Spirited Away. A soak there makes you believe in the Ghiblii world. You tend to get a good mix of onigiri and omamori. A few times I received hip flasks of Japanese whiskey. The nicest osettai was an old pocket knife that was on its nth circumnavigation of Shikoku. Do you think that you get more out of it as a fluent Japanese speaker? Knowing a few key phrases and recognizing the kanji for place names will make your travels in Shikoku much easier. Being a fully fluent Japanese speaker obviously opens up doors. But there is no language requirement to complete the pilgrimage, nor obligation to share your time on the road with anyone else. To indulge in cliches, the henro is a journey of the self. Compared to your other long travels, what was the sensation upon finishing it? Equal parts exhaustion and elation, with a sprinkling of disbelief. This is a fairly standard reaction to finishing a trek. What differed was the restlessness that followed. “Miles walked” and “temples visited” are convenient metrics for measuring your days, but life isn’t always this easy to quantify. If you’ve read this much already, then you’re already a likely candidate. Comfortable shoes, thick socks, and a good first aid kit. Entire armies have ground to a halt because of negligent foot care. I’ve read this much already… Well I guess it’s time to start saving for a trip next year. I’ve always wanted to try the Shikoku henro pilgrimage ever since I first heard about it. It’s just a matter of finding the time and the money, as with most things. Not quite sure if I’d walk it though! It is kind of nice to see this kind of custom survive so well. From Google Earth many parts of Shikoku actually look halfway decent places, if rustic. 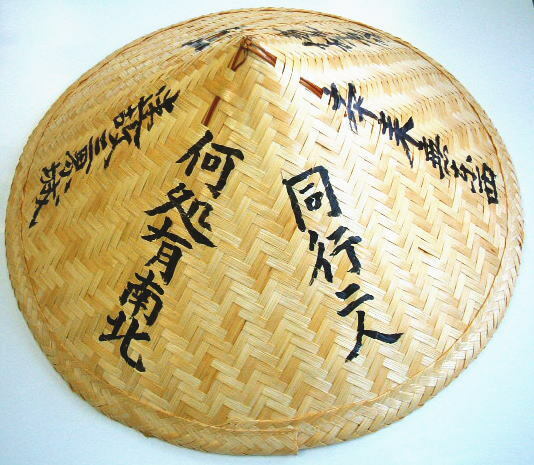 The Shikoku Pilgrimage is on my bucket list. Ironically, despite the fact that I live on Shikoku, I’m afraid I won’t be able to do it before I retire. I just hope I’ll be healthy enough by then.